There are many things to do in a hot tub, but few are as enjoyable as a nighttime soak while watching the stars, either by yourself, with a friend, with a loved one, or with your family. 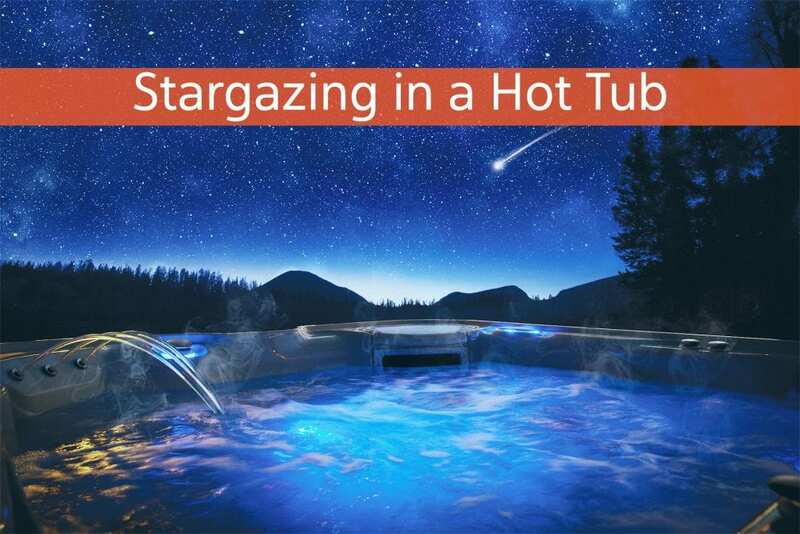 As the temperatures start to drop, and nightfall begins a bit earlier, it is the perfect time to enjoy stargazing from the comfort of your own hot tub. There are plenty of astronomical events to watch in the Reno area from the comfort of your hot tub, from phases of the moon, to general stargazing, to more rare events, such as comets, which we might see later this winter, if predictions pan out. This month, the Fall Equinox will happen on Sept. 23 and the Harvest Moon, the first full moon closest to the September Equinox, will occur on Sept 24. While you enjoy the celestial show, available in your backyard every night, you might want to consider some stargazing music, beverages, and snacks. While the best beverage to consume in a hot tub remains water, because it helps keep you hydrated, adults may choose to indulge in some alcoholic beverages. Keep in mind though, that alcohol can be dehydrating, and caution should be exercised. When in a hot tub, one alcoholic drink can feel like two. Here’s a Spa and Sauna beverage our Marketing Team created for your enjoyment! And don’t worry, we have a former bartender among us. Fill a glass with ice. Take ½ oz of Aperol and layer with ½ oz of Blue Curaçao. Then pour a generous amount of 7Up into the glass. Garnish with Maraschino Cherries and an Orange Slice. Fill a glass with ice. Fill glass about halfway with Orange Juice. Top with Blue Gatorade. Top again with 7Up. Garnish with Maraschino Cherries and an Orange Slice. Eating in a hot tub can get tricky. You don’t want to use your hands to hold the food, as your hands will end up back in the hot tub water. We recommend either toothpicks or very neatly speared foods. You might consider cubing some cheese, fruit or vegetables and using toothpicks to pick it up. Fruit kabobs would also be a nice, hydrating option. Hot tubs are not the place for anything messy that you would touch with your fingers. Should food or drink fall into your hot tub, you will want to remove it immediately. Depending on how messy the food or drink was, you may need to drain your spa to make sure your water remains sparkling clear. You can stream music on your Bluetooth equipped hot tub or keep your smartphone a safe distance away. We hope these ideas help you enjoy quality time in your hot tub this season!